3GP and .3G2 are common video capture formats used on many mobile phones, but they may not be supported by your favorite media player. Today we’ll show you a quick and easy way to convert those files to AVI or MPG format with the free Windows application, Pazera Free 3GP to AVI Converter. 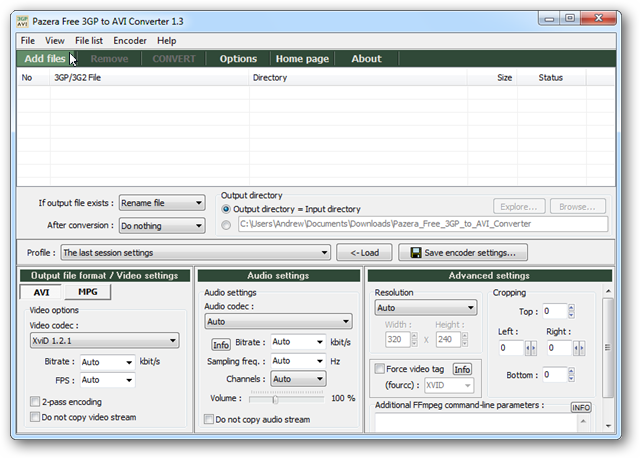 Download the Pazera Free 3GP to AVI Converter. You’ll have to unzip the download folder, but there is no need to install the application. Just double-click the 3gptoavi.exe file to run the application. To add your 3GP or 3G2 files to the queue to be converted, click on the Add files button at the top left. Most users will find it preferable to use one of the pre-configured profiles for their conversion settings. To load a profile, choose one from the Profile drop down list and then click the Load button. You will see the profile update the settings in the panels at the bottom of the application. 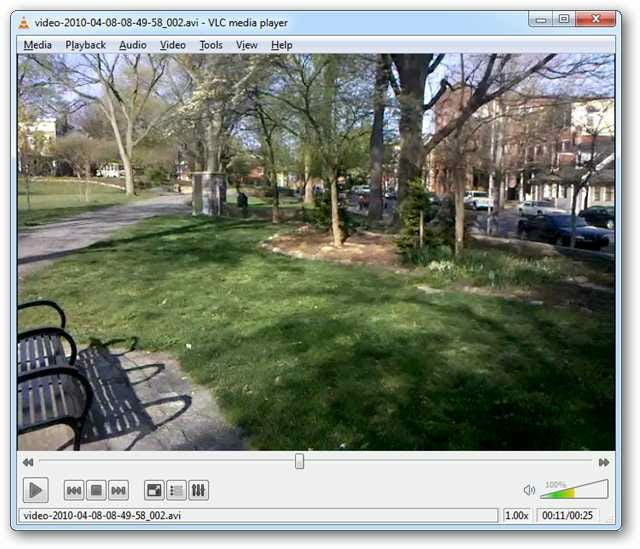 We tested Pazera Free 3GP to AVI Converter with 3GP files recorded on a Motorola Droid, and found the AVI H.264 Very High Q. profile to return the best results for AVI output, and the MPG – DVD NTSC: MPEG-2 the best results for MPG output. Other profiles produced smaller file sizes, but at a cost of reduced quality video output. Or the MPG button to adjust the settings for MPG output. When you’ve chosen your settings, click Convert to begin the conversion process. Now you’re ready to enjoy your video in your favorite media player. Pazera Free 3GP to AVI Converter isn’t the most robust media conversion tool, but it does what it is intended to do. It handles the task of 3GP to AVI / MPG conversion very well. It’s easy enough for the beginner to manage without much trouble, but also has enough options to please more experienced users.